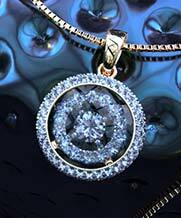 A touch of glamour, magnificence and an oomph factor is designed only at Joyalukkas, the world’s favourite jeweller. The touch a gold necklace can add to your outfit is unexplainable. It not only shouts out the elegance in every bit but also defines a true sense of nobility which will make you look no less than a queen. 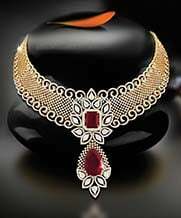 The Gold Necklace Set designs at Joyalukkas is full of charisma and is made with utmost supremacy. Gold has been in existence since decades, initially women were made to wear gold so they would benefit from the metal, over the time it became more of a statement and a part of every outfit picked for a special occasion. A wedding or a traditional function is truly incomplete without women in their beautiful saris and timeless gold necklace sets. 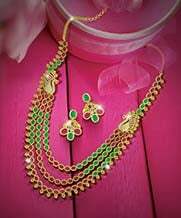 At Joyalukkas the gold necklace set is made to define your personality. It has been handcrafted to transcendence detailing at every aspect. One is sure to fall in love with it. We believe in pure definiteness. Dive deep into the land where all dreams of gold come true! 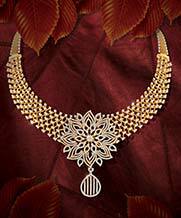 We let you dig the gold out from our varied collection of gold necklace sets. 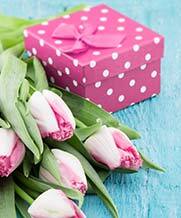 You don’t have to wait anymore for someone to show you one by one, space and freedom are to yours to pick and choose any. 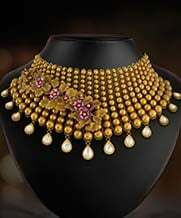 Joyalukkas gold necklace set designs are unique and are made keeping in mind the happiness quotient of every individual. 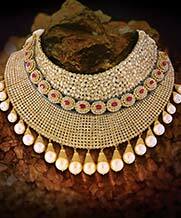 Some gold jewellery takes you back in time while some lets you dive into modern times. 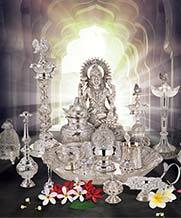 Take the leap and check the varied and enchanting collection of our gold necklace sets. 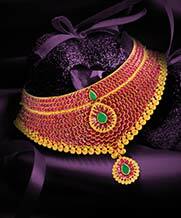 A gold necklace set defines true elegance. It makes your outfit stand out and look complete. With the online world, you could plan every outfit way ahead. 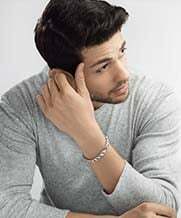 Be it a special gift for your loved ones or an important occasion where you have to look your best, we think of everything you want and keep them ready for you. 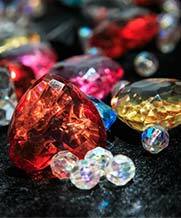 The gold necklace you pick today is your special journey, let it define you.